~ My vision is to help people live with purpose and have a meaningful life. ~ My mission is to help people become grounded so that they can navigate through their issues in the present time with practical solutions and practices. ~ The value I provide is through a variety of healing practices including healing sound sessions, intuitive readings, flower rituals with elements, medical intuition, and practical whole living. Sound healing can be described as receiving the expansive sound that heals the body's deeper tissues promoting a stable, peaceful energy. The frosted bowls carry an Earth Energy and are commonly referred to as "crystal bowls". 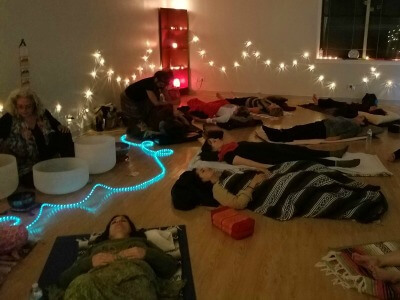 In addition to the crystal bowls, Tibetan bowls, gongs, drums, rattles and a glorious singing voice bring the sound healing experience to anyone attending a session. See the ways to experience sound healing. 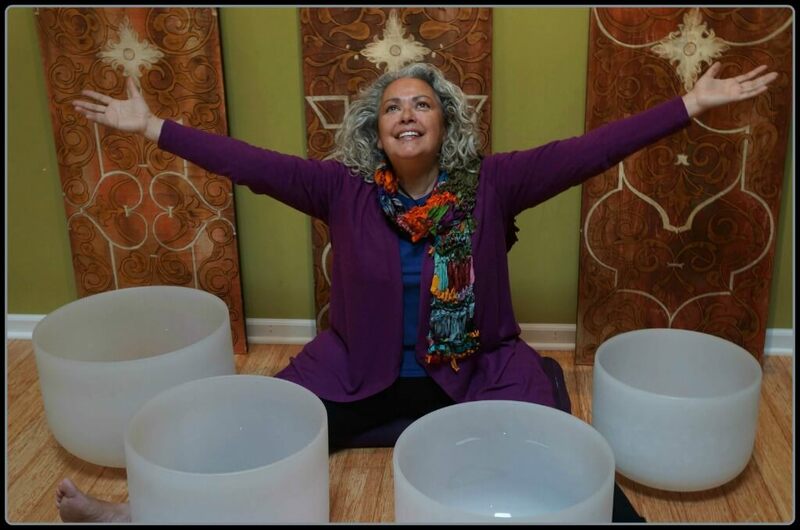 Experience Sound Healing – Your Way! Enjoy the power of many! 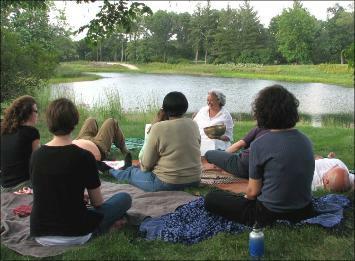 Become one with Nature with these cleaning and devotional events. Private Group & Individual Sessions. Yolanda is a facilitator for self-discovery using a simple approach in both language and sound therapy. Yolanda presents an opportunity for each participant to be empowered and offers encouragement to move through any challenges you may be experiencing. Yolanda has spent many years studying and learning the art of healing including studying yoga with Master, ancestral healing techniques, personal energy cards revealing blocks (oracle and angel cards), oneness blessings and more. In her work as a change agent, Yolanda offers various ways for you to experience and benefit from her talents. Contact me with any questions. I look forward to sharing a moving experience when you attend the next event." Yolanda is the space of unconditional love for she has been there when I was crying like a baby because of my bladder pain and has been there to celebrate my victories in life. A dose of her today was just what my spirit needed. ...time on the bridge doing a river ceremony where she taught me a lesson as I unfolded a rose and let go of all the petals to the river with intentions. I'm left with the experience of being relaxed in who I am. The universe is always giving us what we need in every moment. And, deep connection from the heart with another human being is nourishing and healing. She is an incredible sound healer and does healing of the heart work. I'm forever altered by her. An incredible morning spent with this most special soul. 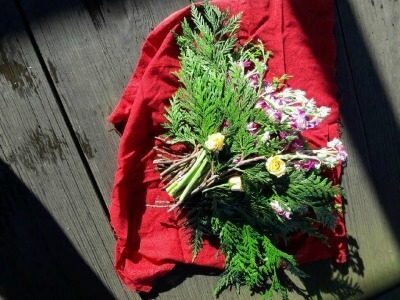 A flower ceremony honoring transitions-releasing, forgiving, and welcoming the new. Thank you Yolanda Lozano for sharing your incredible gifts with me!! Enjoyed the soul healing experience of lying still while listening to you make your magic. There is nothing like the crystal bowl experience and you have the voice of an angel! Words cannot describe the amazing meditation. Thank you!